We are also serve our customer Family Mediclaim Insurance which are available that an entire family can take in their name. Thus the entire family will be covered under the same policy and will be insured under a single sum. • On NRIs’ visit to India, similar procedure of selling insurance is followed. A copy of the passport is needed. we are providing offline and online Medical Insurance process in india. we also provide technical support for this process to our client 24 HRS. Easy work to do clients can do work full time or part time. no time limits. We are a well known service provider of Star Health Insurance which has been certified by our customers as a helpful product. This insurance is also known for its unique benefits which has been formulated to cover future ailments and pre existing diseases. We also provide insurance policy which covers senior citizens as well. We participate in most major health insurance plans. Please check with your insurance provider at the outset of treatment to ensure that you are covered for your treatment (and at what level) and to be sure that we are listed as a provider in your plan. It is the patient's responsibility to check their insurance plan coverage. Online arrangements with Overseas Medical Insurance Companies to issue Insurance Policies instantly like ICICI LOMBARD, TATA AIG AND BAJAJ ALLIANZ. ..
Cosmos ensures best possible medical insurance while you are travelling abroad through our tie-ups with major insurance companies. 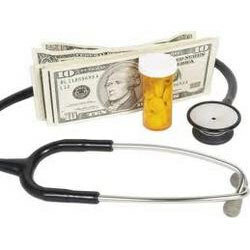 - Mediclaim is the best solution that covers such a higher medical expenses. - Mediclaim policy covers the insured person for in-patient hospitalization expenses due to sickness / injury. - The premium paid is eligible for tax benefit under section 80D of the Income Tax Act 1961. Led by an adept team of facility planners, hospital-engineering experts and architects, this service ensures efficient internal planning of a medical facility. A keen awareness of costs and changing environments permits us to focus on maximum energy conservation without compromising on functionality while keeping in perspective the client’s requirement. We offer Individual Mediclaim Plans from Star Health. It covers all the medical expenses and makes the insured person ready for any emergencies that might come in unexpectedly. This plan also covers the expenses of medicines, hospitalization and surgeries. Moreover, we offer this service at competitive prices to our esteemed clients. NTC ensures best possible medical insurance while you are traveling abroad through our tie-ups with major insurance companies. - Minimum force needed to engage incus. - Diminutive design for minimum bone removal. - Crook applies constant gripping action. - Rounded crook section for ease of handling with forceps.